You should click on the link below if only to see the local Atlanta hip hop artist who stopped by the GA Tech lab and ended up free-styling with an interactive robot as his beat box. But the TEDx Talk that it comes from is worth checking out for lots of other reasons. 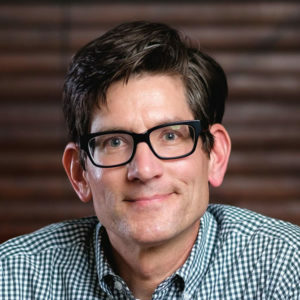 Guy Hoffman is a living embodiment of two cornerstones of The New School – real project-based learning and an integration of the humanities, sciences, and arts. Guy started as a software engineer, but in following his true passion – robots – he went where few software engineers ever go. He decided he needed to learn animation, which led him to study method acting and perform on stage. As his robots became more sophisticated, interacting with humans and responding to their movements, Guy used musical improvisation to test how well they could really reproduce how humans interact with each other. Trial and error, designs scrawled on the back of napkins, it’s all in here. You couldn’t teach this kind of stuff in a high school, right? Well, we’re about to try. Check out Robots with Soul.